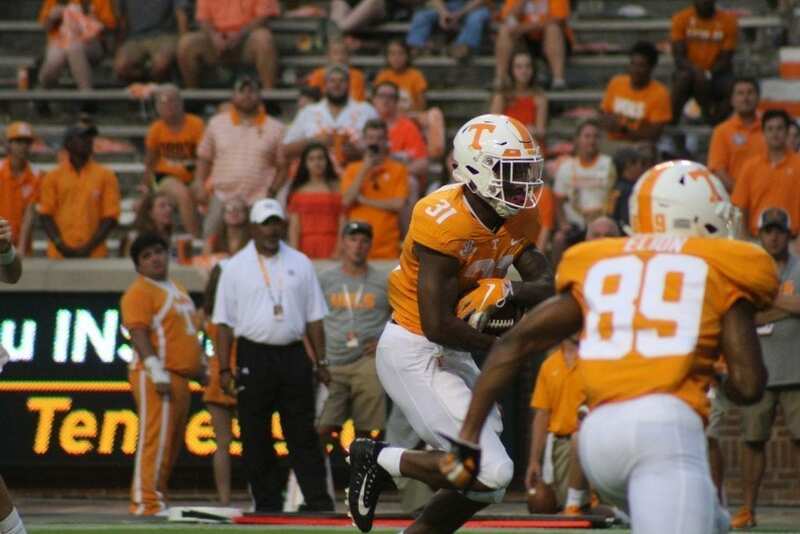 Tennessee rolled over ETSU 59-3 on Saturday in Jeremy Pruitt’s debut in Neyland Stadium. Following last week’s weather delay against West Virginia, the Vols allowed the Mountaineers to pour on 27 more points en route to a 40-14 loss. This week, Tennessee flipped the script. Leading 10-0 early in the second quarter, the Vols headed to the locker room for a 48-minute lightning delay. Until that point, Tennessee’s offense had looked mediocre. Granted, it had already netted enough yardage for a field goal, but the lone touchdown came from a blocked punt. Then came the delay. And after it? Coming out of the locker room, Jeremy Banks delivered two solid runs. A pass interference call moved the Vols to their own 48-yard line, and that was all Jarrett Guarantano needed. He uncorked a 51-yard bomb to Marquez Callaway to put Tennessee at the one-yard line, and Banks punched in the Vols’ second touchdown of the game from there. Pruitt also noted that, even though his team led 10-0 prior to the delay, the score should never affect the Vols’ mindset. Luckily for Tennessee, it didn’t. Against West Virginia, true freshman Bryce Thompson wasn’t able to do much, and Pruitt said he came in this week ready to change that. “He played with an edge,” Pruitt said of Thompson. That edge was certainly a sharp one, as Thompson hauled in an interception, made four tackles—with two for losses—and broke up one pass in the Vols’ win. Following Saturday’s game, Pruitt was simple in his evaluation of the Vols’ playmaking ability. “We need to be opportunistic,” he said. And Tennessee was. With 2:49 left in the first quarter, Marquill Osborne raced practically untouched into the backfield, blocked the Buccaneers’ punt at the 15-yard line then picked the ball up inside the 10 before shooting into the end zone for the score. That block marked the first time since 2013 that Tennessee returned a blocked punt for a touchdown. Last time, Jalen Reeves-Maybin swatted the ball before Devaun Swafford took it to the house. Against West Virginia, Tim Jordan posted an excellent debut with 20 carries for 118 yards on the ground. This time around, Jeremy Banks got in on the fun as well, perhaps even surpassing Jordan on the depth chart in the process. Banks got the call 13 times for 62 yards, and he added two touchdowns in the process. Jordan finished with 15 touches for 65 yards, and Madre London and Josh Palmer finished with eight carries for 47 yards and one carry for 20 yards, respectively. With quarterback play still a big question for the Vols’ offense, a stable running game and a strong receiving corps should go a long way in aiding what appear to be two quarterbacks vying for both a job and an identity. While Jarrett Guarantano certainly appears to be “the guy” for Tyson Helton’s offense, he isn’t one to strike fear in the hearts of opposing defenses, either. Most of Guarantano’s success so far this season seems to come from solid play by his wide receivers, most notably Josh Palmer and Marquez Callaway. Guarantano finished with eight completions out of 13 attempts with 154 yards through the air, but he also had no touchdowns. 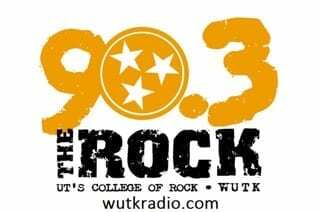 Up next: Tennessee takes on the UTEP Miners next Saturday in Neyland Stadium before facing the beginning of its SEC gauntlet in Dan Mullen’s Florida Gators. Kickoff against UTEP is slated for noon next week, and the game can be viewed on the SEC Network.